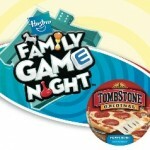 **HOT: $30 Hasbro Groupon for just $15 – Christmas in July?! You are here: Home / toy deals / **HOT: $30 Hasbro Groupon for just $15 – Christmas in July?! The Christmas in July deals just keep coming! 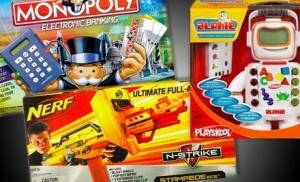 Today Groupon has a HOT deal: You get a $30 Hasbro Toy Shop credit for just $15! I didn’t see an expiration date for the certificate, so I’m thinking you could hang on to this and pair it up with some great deals for Christmas! Plus, you can apply it towards shipping AND you can redeem it across multiple visits. What an awesome deal! 2. Click on the green “Buy” button and complete the process for check-out! It’s that easy! What a great deal! There are only a few hours left to take advantage of this awesome deal – hurry and get yours before it’s gone!! Limit one per person and one code per order. Valid online only. 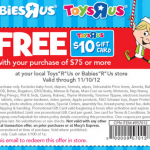 Not valid for gift cards or e-gift cards. Valid on in-stock items only. 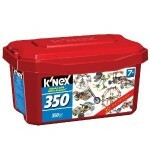 K’Nex Value Tub for $11.58 and more deals on K’nex Building Sets! 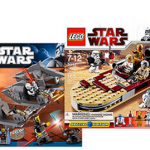 LEGO Star Wars Bundle Pack for $39.97! Toys 'R Us Doorbusters starting 11/10! $3 Candyland and $2 Operation at Walmart! 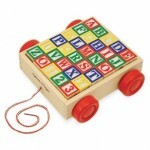 Melissa & Doug Toy Sale PLUS free shipping!